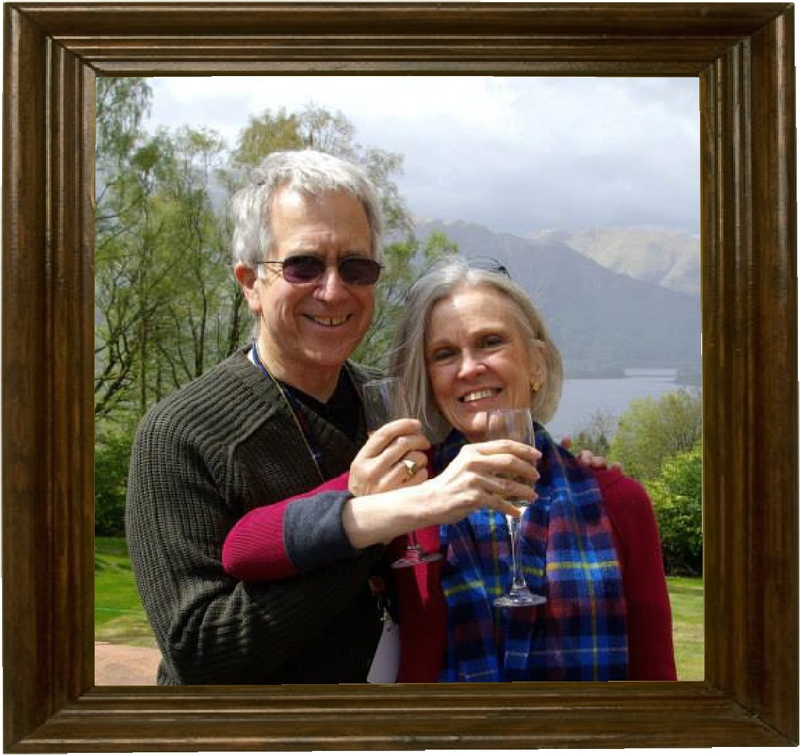 Thank you to everyone who has posted supportive and informative notes and comments on this transition to a vegan diet. We really appreciate it! Today was Day 3 of GVFMBB (going vegan for my beatles’ birthday). It was also the day that winter storm NIKO left PA and MD battered to a pulp. Our yard looks like a half-acre slushy, and Rudy the Schnoodle is going beserk trying to identify the sounds of splintering glass as patches of ice and snow slide off the roof and bounce off the windows on the way down. And they say there is more to come this weekend…enough already! Will and I are doing fine with the transition to a plant based, whole food diet. I am having some odd cravings, mostly for sugar – which I haven’t eaten in years – but nothing that can’t be managed. But then, it’s only been 72 hours and most of us can go that long without even noticing it, so if I weren’t paying attention I would have nothing to report. 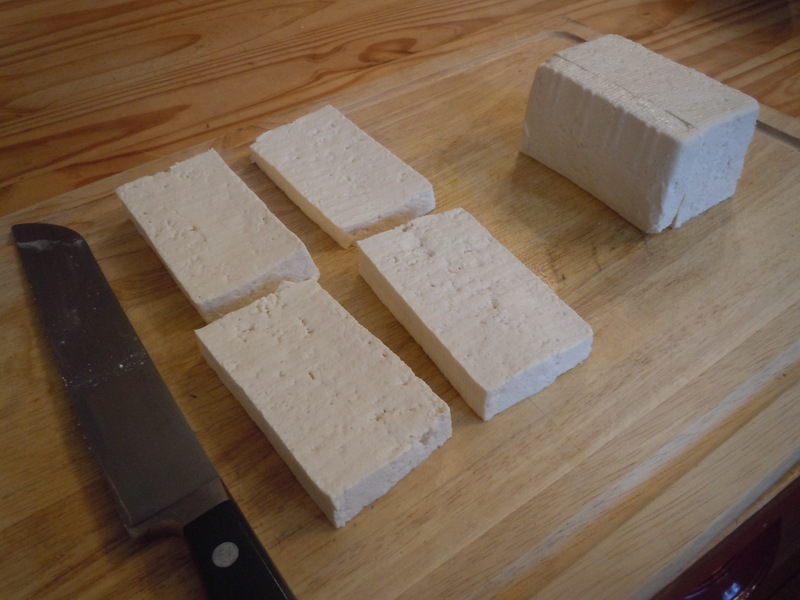 Today’s challenge was tofu. We lost phones and cable in the storm, but our power stayed on (though it has been flickering ominously since the wind picked up at dusk). But we were able to cook. Today’s dinner follows. Quite tasty and very satisfying! Combine ingredients and mix well. Pour into a quart size Ziploc bag. 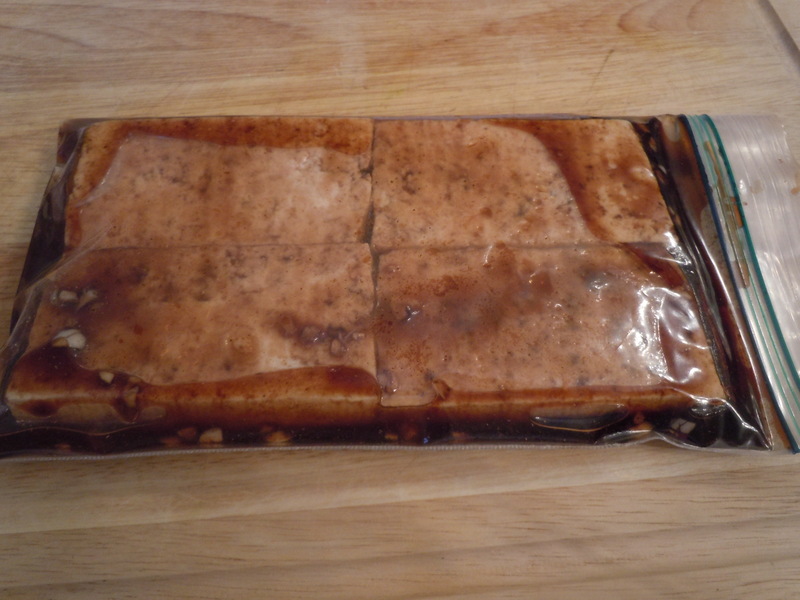 Place the slices on an oiled baking sheet. Brush tops with additional oil. 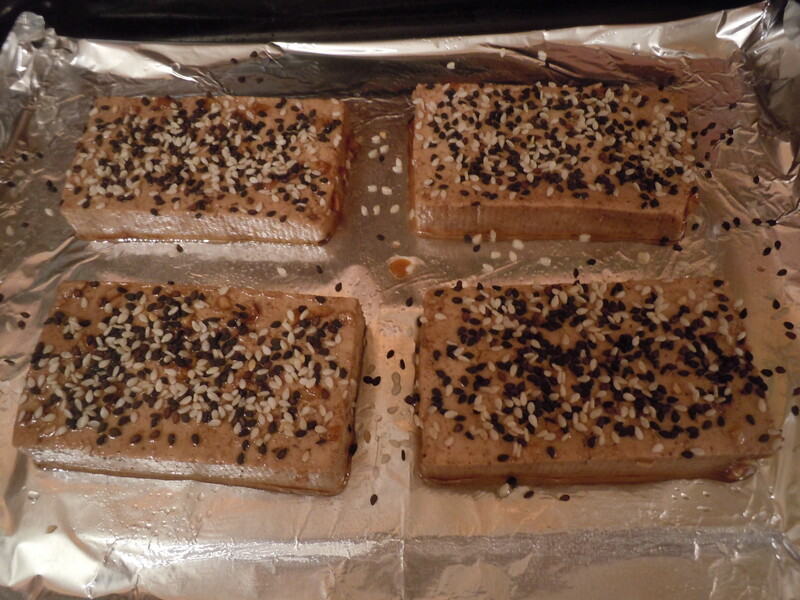 Sprinkle generously with a mixture of black and white sesame seeds. Bake at 400 until crispy (10 minutes). 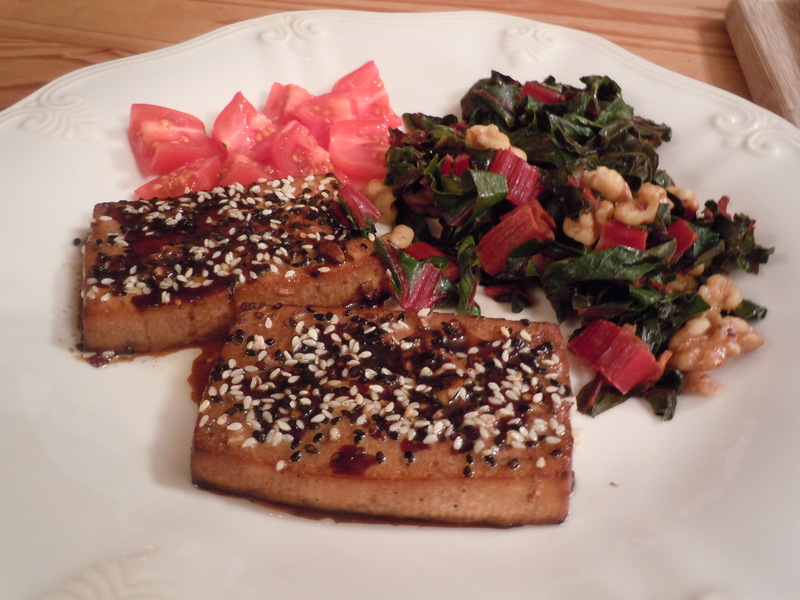 While the tofu is roasting, make the sauce. Heat the marinade to a bubble in a small saucepan. Stir in the cornstarch mixture and cook until slightly thickened. Keep warm. Just before serving, add the chopped scallions. 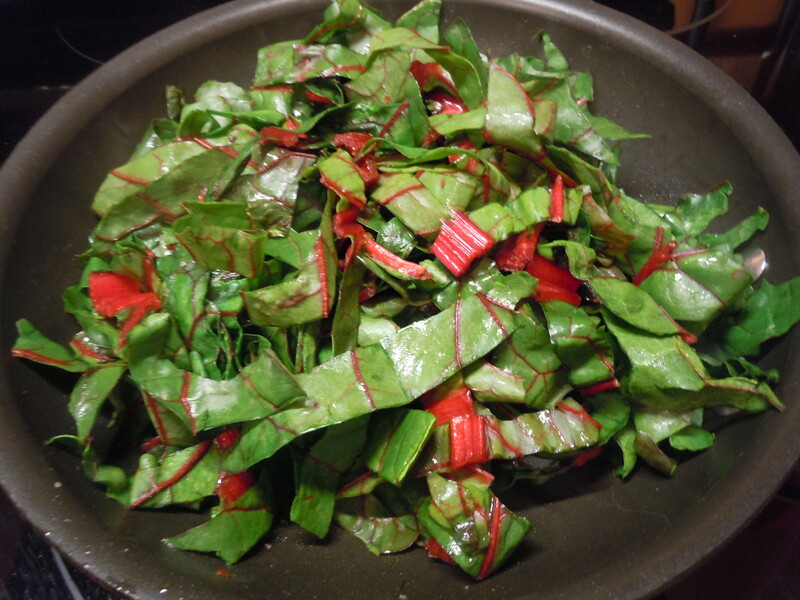 Remove the stem ends from the chard. Stack and slice the leaves crosswise into 1 inch strips. 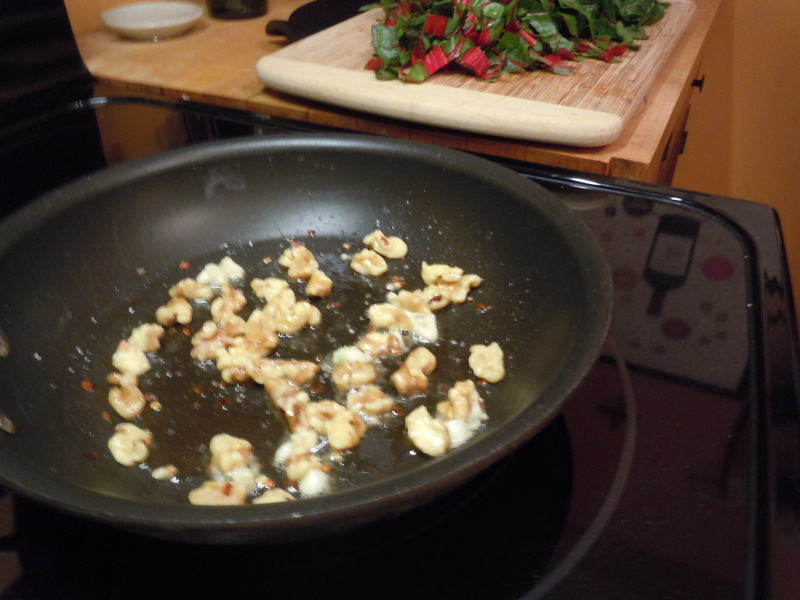 Sauté the garlic and red pepper flakes in the walnut oil, but do not brown. Remove the garlic and discard. Quickly sauté the walnut pieces in the garlic-pepper infused oil. Remove and drain on paper towels. Season with salt if desired. 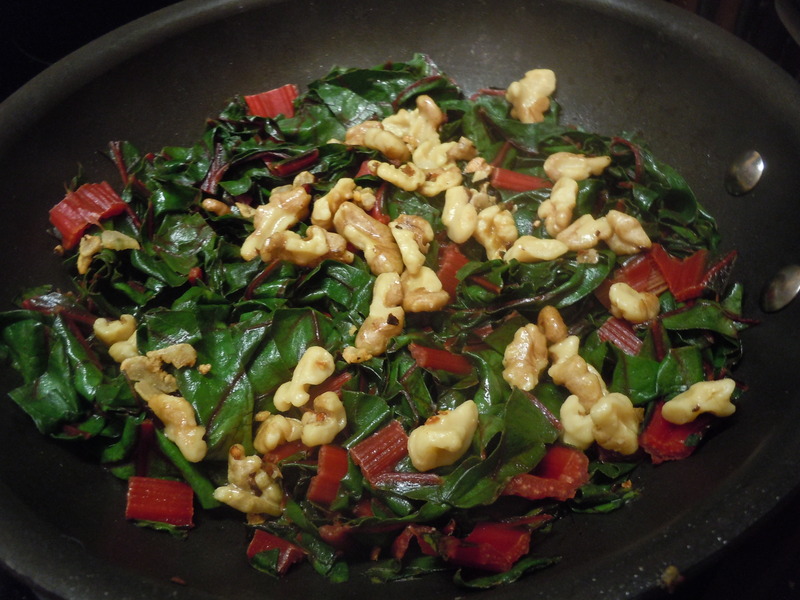 Saute the chard, adding more walnut oil if needed. 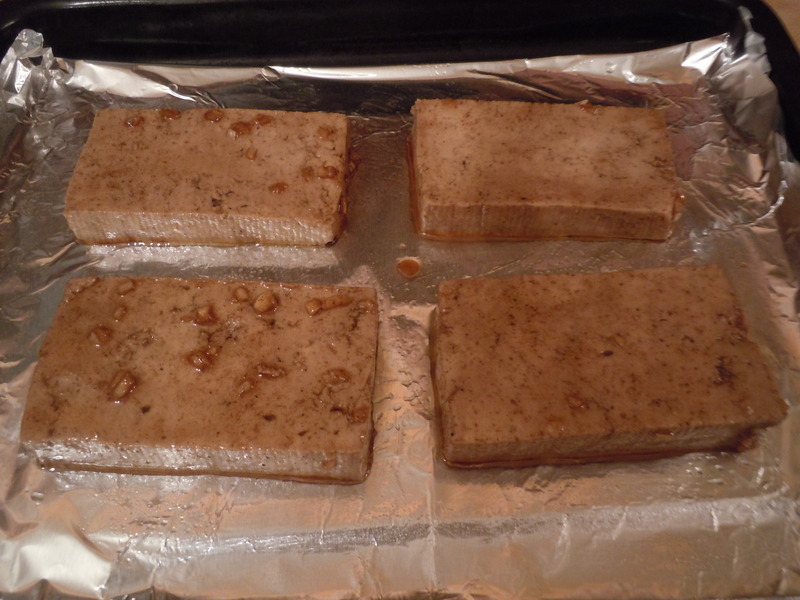 Stir in the vinegar, return the walnuts to the pan, stir and serve at once. My Mama is vegan.. will ask her for some recipes! thanks so much! I am really enjoying this change. And your site is lovely!